Minimalism is a way of life, philosophy, art, and fashion that strips everything down to its most fundamental features. We know a lot of brides who find wedding planning overwhelming, and not exactly their cup of tea. So why not get rid of the clutter and opt for a more simple, discrete style? We're not talking about renting a blank white room and adding no decor (although that's always an option!) A minimalist wedding can be modern, chic, and elegant without going over the top. Take a look! Gold brocade, textured linen, ornate florals... are we turning you off? Announcing "Somebody's getting married!" doesn't have to be elaborate. In fact, it can be as simple as you like. 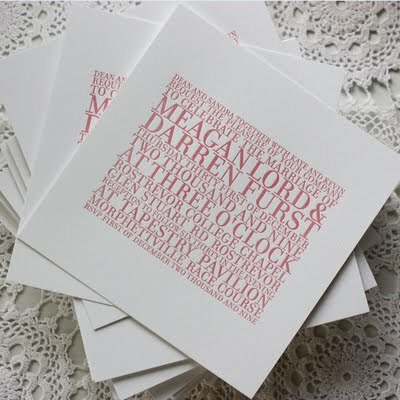 Rather than covering your invite with patterns and designs, just stick to text only, like this minimalist letterpress design. It includes all the important information, and creates a very modern and clean look. Many wedding venues come with brocade curtains, giant chandeliers, and hideously patterned carpets (Can we say visual overload?). Instead, choose a wedding venue that will provide you with a lot of wide open space. 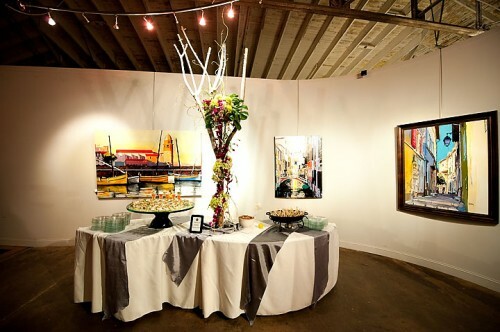 While not exactly a blank canvas, an art gallery can be a wonderful venue for a minimalist couple, as it usually involves bright white walls, smooth floors, and built in decor. Don't add too much of your own decor (just some candles and well placed flowers) and you'll have a very modern, edgy space to work with. Elaborate table settings can be beautiful, but they can also take up too much space! Unclutter your wedding with a simple vase of flowers, maybe few candles, and cut back on the number of cutlery and wine glasses. This will provide for an aesthetically pleasing table that is straight to the point and, did we mention, budget friendly? 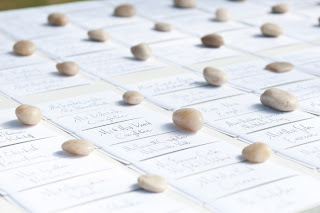 Speaking of budget friendly decor, how about the place card table? 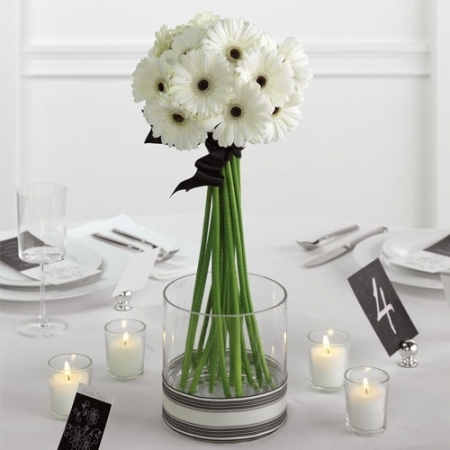 Make your place card table look sleek and modern by keeping it totally natural and simplistic. We love this arrangement of small pebbles and plain white cards. It may seem plain but it packs a punch as the pebbles and clean straight lines make it striking. When we say minimalist, we don't mean dull. You can have a colorful, vibrant wedding bouquet, but still stick to the basics. 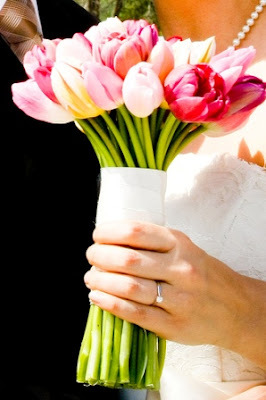 Personally, we think a bouquet of just tulips or orchids creates a very fresh, modern look for a wedding that can still be upbeat and colorful. Tulips are also perfect for spring weddings, and taking out the filler flower just brings the focus on the long, elegant stems. 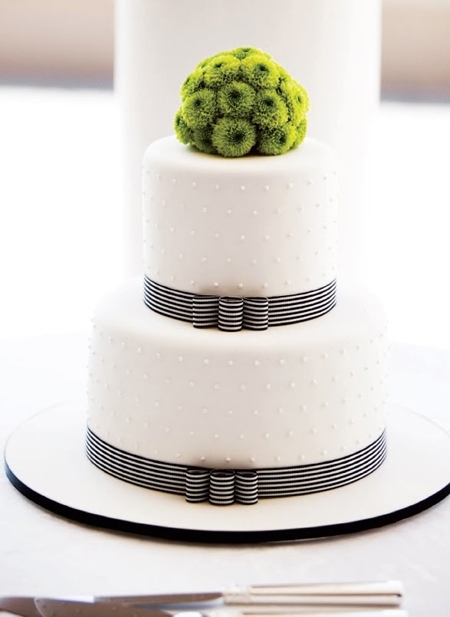 Okay, so maybe a "true" minimalist wedding wouldn't have wedding cake... but let's just ignore that tiny detail. A simple wedding cake can mean different things, such as less layers or less floral decor. Add subtle decor, such as colored ribbon and a simple topper to create a very chic and elegant dessert. 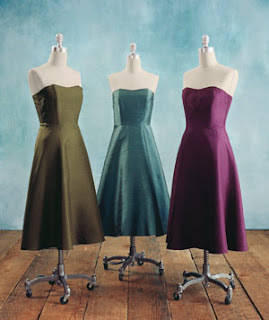 Choosing bridesmaids dresses can be overwhelming. Will everyone like the style you choose? Will they all fit? Will your best friends look absolutely ridiculous in the photos? One of the best ways to play it safe is to keep it simple. A very simple dress, such as the strapless satin pieces pictured above by Lynn Lugo, are wonderfully low maintenance and classy. Of course, depending on your bridesmaids you may need to go with a different cut, but the basic idea still works. Looking for an elegant dress with a no frills kind of look? 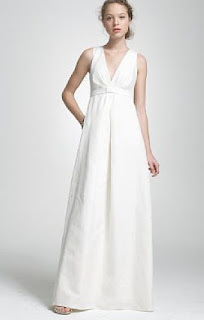 A cotton dress like this would be perfect for the minimalist bride with its crisp white and clean lines! Ditch the lace, beads, and taffeta and opt for something a little more suited to your style and overall tone of your wedding. This dress is casual but sophisticated and features just a tiny bit of pleating to make it interesting but not distracting.